The Walt Disney Studios Picks Up 17 Oscar Nominations! I’m always sharing my favorite Disney movies and activities with you and today I have more Disney news. 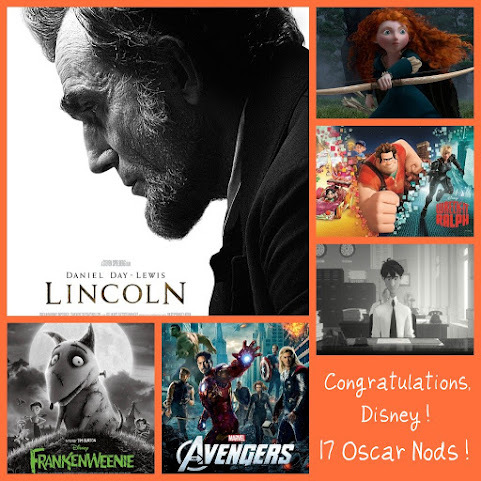 I’m excited to announce that The Walt Disney Studios picked up a total of SEVENTEEN Oscar nods this year! How amazing is that? Lincoln was a standout receiving a total of 12, including one for the coveted Best Picture. 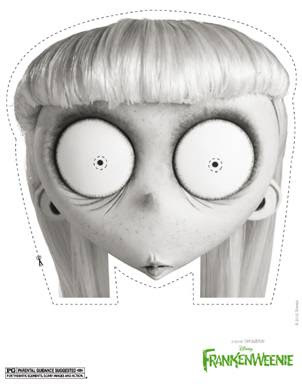 Last Minute Costumes: Printable Halloween Masks From Disney’s “Frankenweenie”! Did the kiddos just decide they actually do want to Trick or Treat after all? Or maybe you need a last minute costume for yourself to hand out candy or attend a Halloween party? All is not lost! Don’t bother rushing to the store and digging through the leftovers. 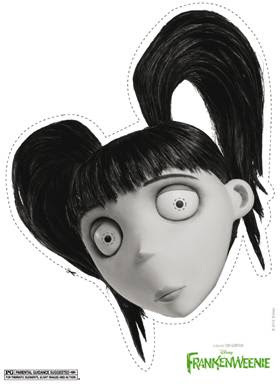 All you need to do is print, cut, and wear these four free printable Halloween masks from Disney’s Frankenweenie. Click each image to open a larger, printable version. If you choose to use one of the masks I’d love to see pictures! Feel free to leave the link to a photo or blog post showing your mask below. 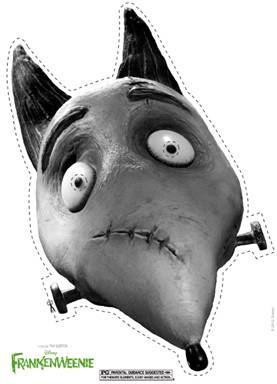 Free Disney’s “Frankenweenie” Halloween Pumpkin Carving Templates! If you’re looking for some cute Halloween pumpkin carving ideas here are four free templates! They are from Disney’s Frankenweenie (which is in theaters now – go see it!). The designs might look more challenging than a basic toothy grin but they actually have step-by-step carving instructions and tips to make it easy. We’re heading back to the pumpkin patch next weekend for more pumpkins so I imagine we’ll be up to our elbows in Frankenweenie jack o’lanterns and roasted pumpkin seeds! 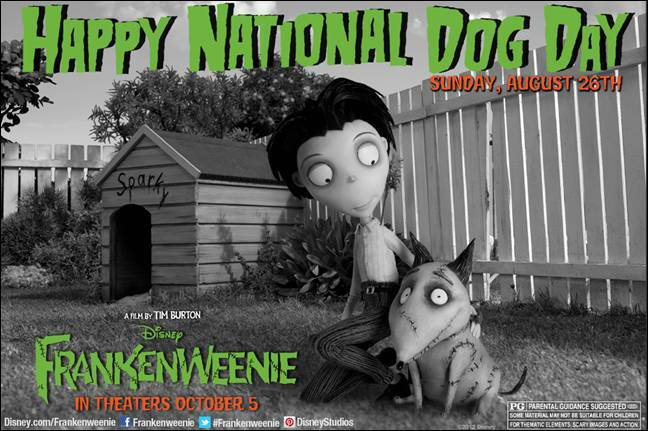 Disney’s Frankenweenie Opens Next Week – Plus A Sweepstakes! Disney’s Frankenweenie opens next week on October 5th and I’m really excited. I love Tim Burton movies and I have no doubt that this will be just as awesome as the rest of his films. It’s the story about a boy and a dog – sounds pretty classic right? But in Frankenweenie the young boy Victor conducts a science experiment to bring his beloved dog Sparky back to life, only to face unintended, sometimes monstrous, consequences. 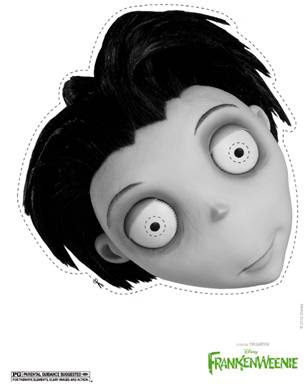 While you’re waiting for the film to hit the theaters check out the Frankenweenie Monstrous Sweepstakes! One grand prize winner will receive a 4 day/3 night vacation for four to the Disneyland Resort and Disney California Adventure Park to experience the world of Tim Burton and Frankenweenie during Halloween time! Five first prize winners will receive an autographed Frankenweenie movie poster. You can enter here online or you can text EDGAR to Disney (347639) for a chance to win. Message and data rates may apply. If you’re under 18, get your parents permission first. Today is National Dog Day! I honestly didn’t even know there was a National Dog Day; when it comes to our dogs, every day seems like a day dedicated to them – we love them that much! Growing up we always had a dog. 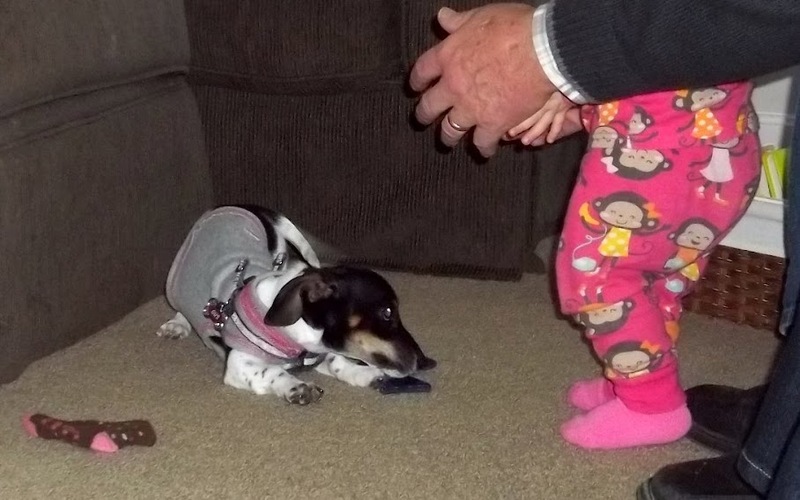 My parents got their first one – named Benji – a few weeks before I came home. We literally grew up side by side; I couldn’t have asked for a better friend, and it was heart-breaking when he passed away when I was in junior high. After that there was Dinah, Gabriel (Gabe), Beauregard (Beau), and Mo (named by the shelter, we actually called him Mozilla for some odd reason). Pretty sure that somewhere down the road, Mo’s ancestors had bred with a kangaroo, because I’ve never in my life seen a dog leap three or four feet vertically off the ground. Happy National Dog Day, Gus! There’s also another dog that will soon be working his way into everyone’s hearts, and that’s Frankenweenie! He’ll be scampering into theaters on October 5th! Directed by Tim Burton, it’s sure to be an awesome film; The Nightmare Before Christmas is one of my favorites! I’ll have more details for you later, but in the meantime you can check Frankenweenie out on Facebook. Do you have a dog? Or maybe you had one growing up? I’d love to hear about them!